A testament to the deep art of colour composition, this publication – art directed by Wong himself and produced to the highest printing standard – brings together a complete and refined body of images that are evocative, timeless and completely transporting. Rounding out the book’s special treatment is the first publication use of the 45/90 font, designed by Henrik Kubel, of London-based A2-TYPE. 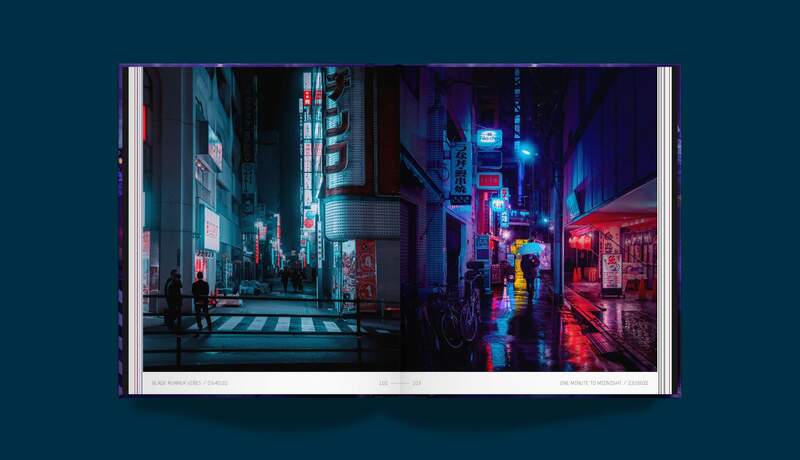 The book also features a section that reveals the creative and technical process of Wong’s method, from identifying the right scene to composition, from capturing the essence of a moment to enhancing colour values and deepening an image’s impact – insights are invaluable to admirers and photography enthusiasts alike. Born in Edinburgh, educated in computer arts at Dundee’s University of Abertay (a cauldron of videogame talent), transplanted to Canada to work at Ubisoft at the age of 25, Liam Wong was always destined to produce eye-catching work of substance and originality. 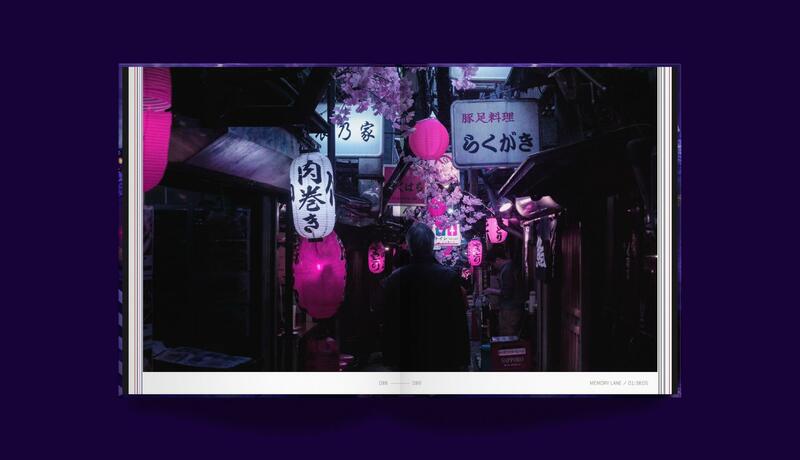 His videogame work took him for the first time to Tokyo, where he discovered the ethereality of floating worlds and lurid allure of its nocturnal scenes. ‘I got lost in the beauty of Tokyo at night,’ he explains. Through the combination of self-taught camera work, the influence of creative masters such as Syd Mead and Hideo Kojima, his videogame designer’s eye and the development of his own software techniques, he created images that render Tokyo’s particular nightlife in a surreal form all his own. To fully enter the world of Wong’s photography, supporters of the project have a variety of ways to participate. The first is with a limited-edition poster, signed by Wong, that will animate any setting or space. 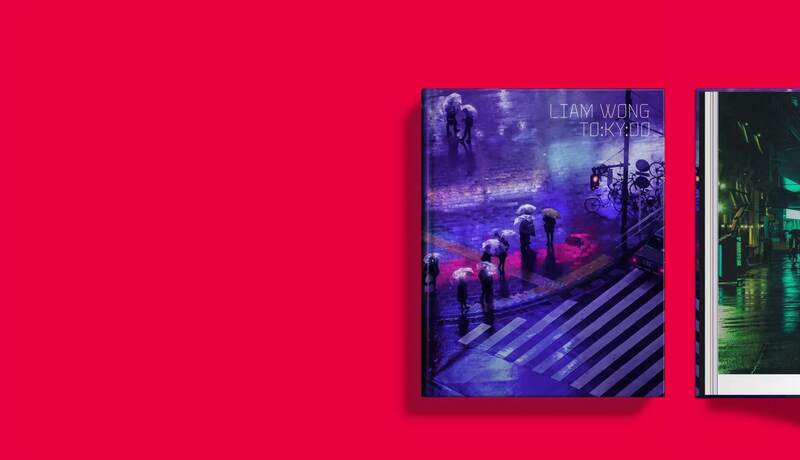 Perhaps the most exceptional offering connected with backers of the book is an opportunity to connect with Liam Wong directly, through a private 30-minute one-on-one online session, to review your own work, to learn insights on techniques and composition, or simply to share experiences of Tokyo with Wong himself. To learn more and pledge your support, please visit the TO:KY:OO project page on Volume.